The academic ethos at the College is as competitive as the one enjoyed in sport and cultural arenas. The College has an outstanding record of academic achievement in the IEB Matriculation Examinations. There has been a 100% pass rate for over a decade, with over 80% of boys receiving an A, B or C aggregate and a quarter receiving A aggregates. Our small class sizes, highly qualified staff and the emphasis on the use of state-of-the-art technology in the classrooms and laboratories is reflected in our boys’ excellent results. 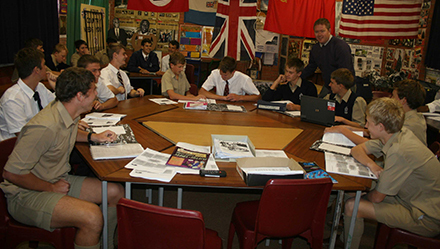 The school embraces the benefits of technology in enhancing learning, with the campus being covered by a wireless LAN, allowing boys access to the highly developed Kearsney intranet and the internet and extensive use being made of SMART Boards and other ICT resources. Discover how Kearsney strives to equip pupils with the hard and soft skills, knowledge and character to succeed in the 21st Century. In the wake of the rise of China as an economic powerhouse, Mandarin was introduced to the curriculum in 2006, further demonstrating our commitment to preparing our boys for success in life. 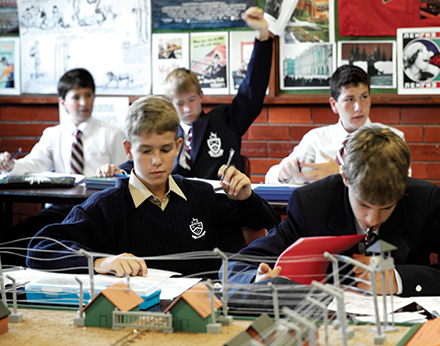 Kearsney has an excellent Inclusion Programme, designed to afford those with barriers to learning the opportunity to participate in and benefit from the excellent academic programme of the school. Kearsney boys write the Independent Examination Board school-leaving certificate. The IEB’s credentials and integrity are acknowledged worldwide, granting boys opportunities to study at overseas universities. Furthermore, the critical thinking skills cultivated in preparing boys for the IEB examinations are those that are required to succeed at University and professionally in the 21st Century. 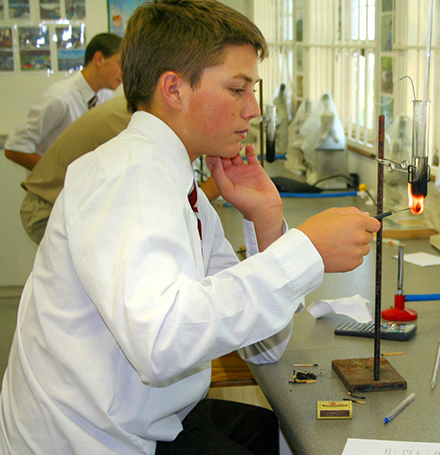 Kearsney College offers a comprehensive academic support programme. Read more. (Geography is offered in place of a second language to boys who have immigrant status). Accounting, Business Studies, Dramatic Art; Engineering Graphics and Design; Geography; History; Information Technology; Life Sciences (Biology); Music; Science; Mandarin and Visual Arts. 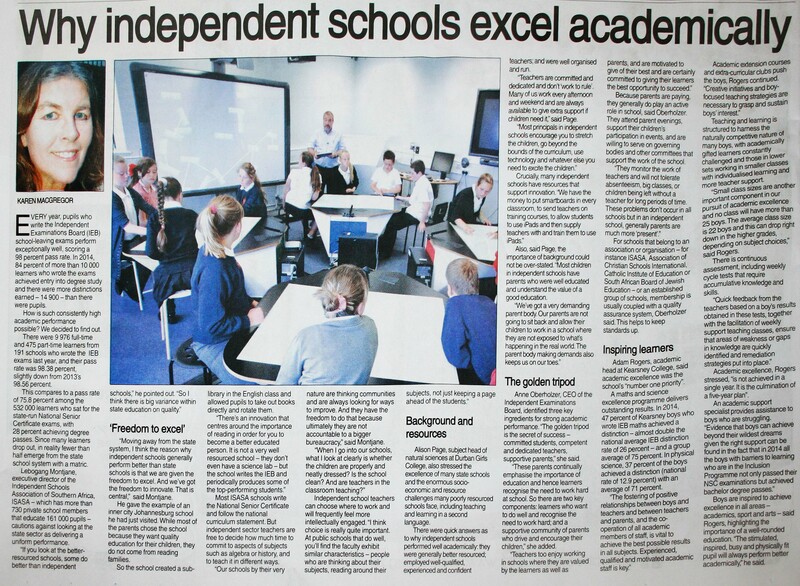 Learn more about the Independent Examination Board.